“I Want a Puppy for Christmas!” And Other Dumb, Holiday Ideas. Someone you know wants to buy a puppy for Christmas or Chanukah and I am here to talk them out of it because the truth must be told. It’s a typically dumb holiday impulse. But who wouldn’t want a cute, fluffy puppy, you say. Yes it’s true, puppies are the most adorable creatures on the planet but one should think before one hands over their credit card. I don’t mean to be all bah humbuggish about it but I love dogs and puppies become dogs in a few months. If you have room in your heart and in your home for a new four-legged friend this holiday season, wouldn’t it be the right ethical choice to refrain from buying a puppy and consider adopting an adult dog instead? Isn’t that really more in line with the holiday spirit? After all, while families are decorating their trees, dogs are being euthanized by the thousands at the pound. Why is it that adorable, pure-bred puppies are brought to the pound after the newness wears off? Because puppies are a lot of work! Puppies are infant dogs and they need constant care. They pee and they poop and they get into to your closet. They chew and break things and they throw up and cry and they whine, just like babies do. They have tiny bladders and bottomless tummies and don’t sleep through the night. And if you have human babies or toddlers, unless you are rich and have full-time help, you are in for a tremendous amount of sleeplessness and work. For every puppy bought at the store, there is another one just like him at the pound, just months older, getting ready to say goodbye to the world. Why? The answer is simple and sad. Because the person paying $1500 at a pet shop for a puppy mill Bichon Frisé won’t go to the pound and rescue one. If you or someone you know is thinking of buying a pooping, whining, peeing, chewing, screaming, crying, fidgeting, destroying-everything-in-the-house, little furry creature this holiday season, please consider adopting an adult pet. You want a designer dog ? No problem. The shelters and rescue organizations are full of them. PETFINDER.COM can help you find even the rarest of breeds. You can probably find a Brussels Griffin or a Briard within your zip code. Every single breed of dog is a click away. Plus, on PETFINDER.COM, you get individual stories about the pets, like where they came from and why or how they ended up in foster homes or at a shelter. Many of the foster care-givers know a lot about the personality of the animal and how he interacts with others, including children. You can even go and meet the animal with your other pets or your children to see how they all get along. Be logical. You can interview an adult person to get a sense if he is intelligent, well adjusted, mentally normal and friendly. You can get a feeling if he is a thief or a liar or a murderer. You can’t interview a ten-week old baby. You have no idea if that baby will grow up to rob you and burn your house down. Using the same logic, you can interview an adult dog. You can get a sense of his personality, if he seems well adjusted, mentally normal, intelligent, open or friendly. You know he won’t rob you and burn your house down. You can’t interview a puppy. Every puppy has only two wriggling motivations—worming its squirmy little cuteness to the food and then emptying it out at the other end. Training an adult dog is much easier than training a puppy. Believe me, a rescued dog wants to learn how get along in your house. All he needs is some exercise, kindness, patience, understanding, some guidance and a little time. Even an older dog will be so grateful you took him in, as long as you show him the ropes, with patience and understanding, he will gladly learn what he needs to in order to fit into a loving household. The job of helping an adult dog or cat to assimilate is far easier than the job of training a puppy. I haven’t convinced you yet? Here’s a fun way to think about it: You’re looking for a room mate. Which one of these applicants would you choose? Male, 38, likes long walks and curling up on the couch to watch TV at night, energetic, friendly, happy-go-lucky, sense of fun, late sleeper. Female, 42, great sense of humor, playful, sweet, affectionate, very clean and gregarious. Female, 8 weeks, misses her mom, has anxiety, unknown health issues, unknown IQ, poops and pees every hour, cries all night, needs 24 hour care, and special diet. Now think about these people being dogs. Be honest, which would you logically choose? 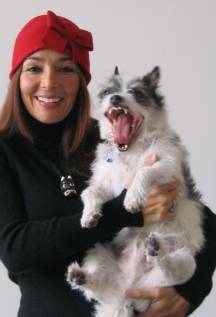 If you are a senior citizen or an especially nice person, you might think about getting a senior dog at the shelter or from PETFINDER.COM or a local animal rescue organization. Many older dogs and cats have been left behind because their guardian died, or moved or had to go into the hospital. Often, a pet is abandoned simply because his owner tired of him. Does that make the pet less valuable? I think we get better as we get older— we get smarter and deeper. The same goes for pets. So this holiday season, don’t go to the pet shop. Adopt an adult dog. You’ll save a lot of money. You’ll be able to think more highly of yourself. Now that’s a gift! Real status is not about what rare breed you bought, but about what kind of person you are. By giving money to the puppy mill industry, you are putting money directly into the hands of a business that perpetuates misery for profit. They deserve to be put out of business. The real joy of Christmas is in giving— and what better gift to yourself than giving a home to a lonely dog. It’s the gift that keeps on giving, with gratitude, loyalty and love. Participate in the solution. Let’s spread the Christmas spirit and help empty out some of those cages. 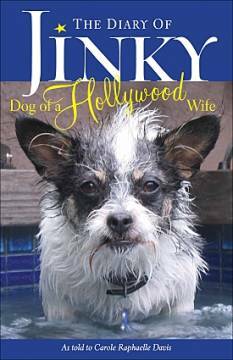 Carole Raphaelle Davis is an actress and author of “The Diary of Jinky, Dog of a Hollywood Wife,” just released by Andrews McMeel Publishing.